When it comes to hot takes it’s hard to think of one that’s been more regularly bandied about. 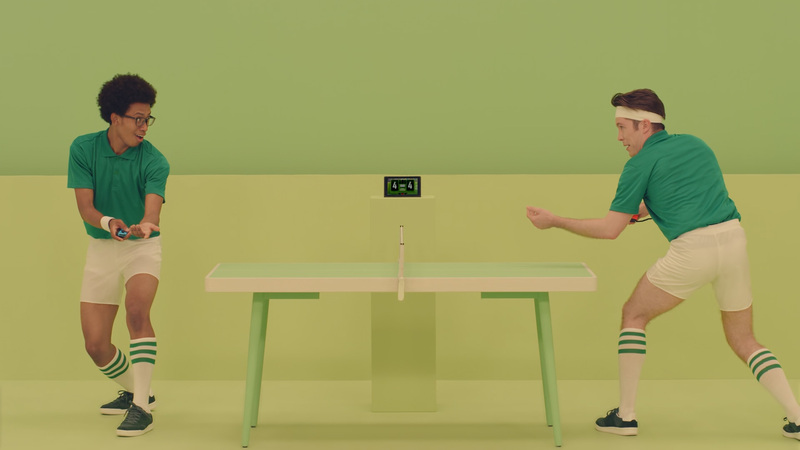 The combination of 1-2-Switch’s basic gameplay, its family-friendly focus and the increasing sense of entitlement among ‘gamers’ means nearly everyone and their Nintendog reckons this should have been the next Wii Sports style pack-in. I don’t necessarily agree. While some gamers bought the Switch for its built-in two-player functionality, just as many (if not more) are solo gamers who bought it more for its handheld capabilities. As such, if Nintendo had bundled 1-2-Switch with its console, you’d have had just as many complaints from other people moaning that they would have rather had the system without the game for a cheaper price. What we have, then, is a game that half of Nintendo’s audience has no interest in, and the other half wants for free. No pressure, then. 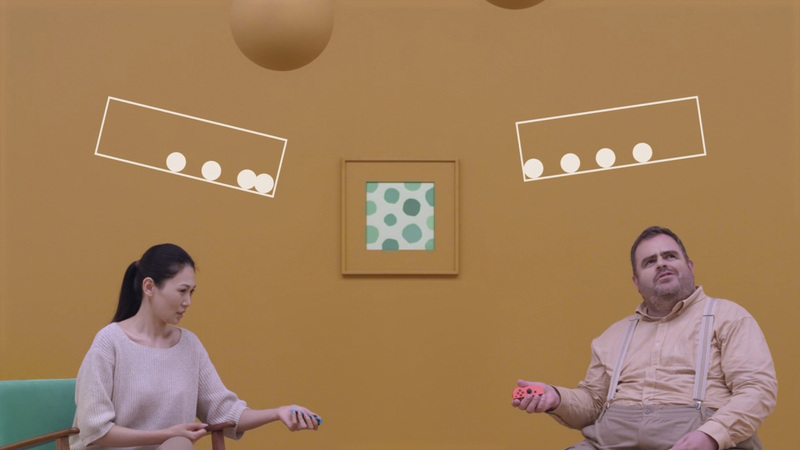 Making no bones about it, 1-2-Switch is a mini-game compilation. It consists of 28 games, most of which are designed for two players. Each game, when selected, opens with a demonstration video acted out by a couple of hopelessly (mostly) photogenic actors who’ve just fallen out of a lifestyle photo shoot. As someone who’s spent my entire career cringing at Wii, Xbox Kinect, PlayStation Move and PS VR trailers using similarly over-acting goons, it’s an aesthetic I couldn’t possibly hate more, even if it regularly flashed up stealth photos of me having a shite that were taken without my knowledge. Oddly, the game forces you to play a few specific games first before the full selection is opened up to you. Once this needless formality is over with, though, you’re free to choose whatever game you like. The 28 offerings vary greatly, both in terms of game mechanics and, ultimately, fun. Simple efforts like Quick Draw – in which you have to shoot your opponent before they can shoot you – are a good laugh and should lead to occasional ‘one more time’ situations. Others are significantly more throwaway, though. 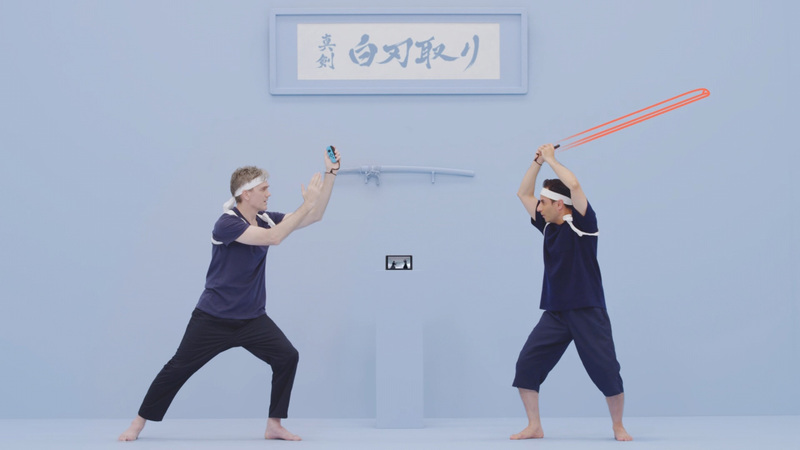 JoyCon Rotation, in which you literally take turns to pick up the JoyCon from a table and turn it a bit, is about as fun as it sounds, while Samurai Training – where one person swings a sword and the other tries to catch it – is just dull. The best games are the ones that make the most of the JoyCon’s HD rumble feature. Ball Counting is a particular highlight: as you tilt the JoyCon you can feel little marbles rolling around inside it, and have to guess how many there are. It’s a neat effect that will have you wondering just how they managed to make it feel so realistic. Safe Crack, meanwhile, does a brilliant job of making you feel like you’re breaking into a safe, asking you to slowly turn the dials and try to feel a distinct difference in the JoyCon when its ‘clicks’ change. These are great as tech demos, giving good examples of what could be possible in future Switch games if developers decide to implement them. 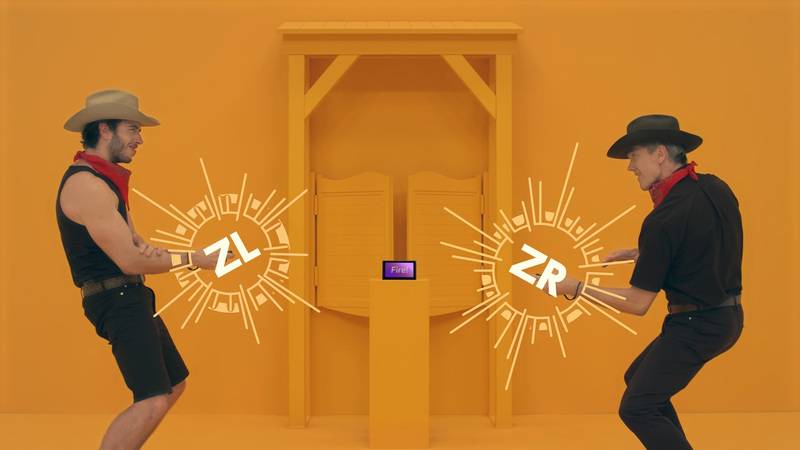 I was immediately picturing a new Zack And Wiki game with different puzzles that use the JoyCon in a variety of ways, or a remake of Silent Hill Shattered Memories where its brilliant tin can puzzle – you have to shake them all to find which has a key in it – could be modified to feel more subtle and require more careful analysis. This is the problem though. As I played 1-2-Switch I found myself thinking about how its tech could be used in other games, and when a game has you dreaming about playing other games instead of the one you’re currently playing it can’t be doing its job well. This is a compilation of ideas that make me think “I like what it did there, but I don’t want to do it here. I want to do it in Game X or Game Y.” It’s the gaming equivalent of the original version of Girls Just Wanna Have Fun by Robert Hazard, which planted the seed but was ultimately forgettable (and forgotten) until Cyndi Lauper picked it up and made it her own. That’s right, 1-2-Switch is the Robert Hazard of gaming. Bet you haven’t heard that take on it before. Here’s the deal: I like what 1-2-Switch tries to do on a basic level. 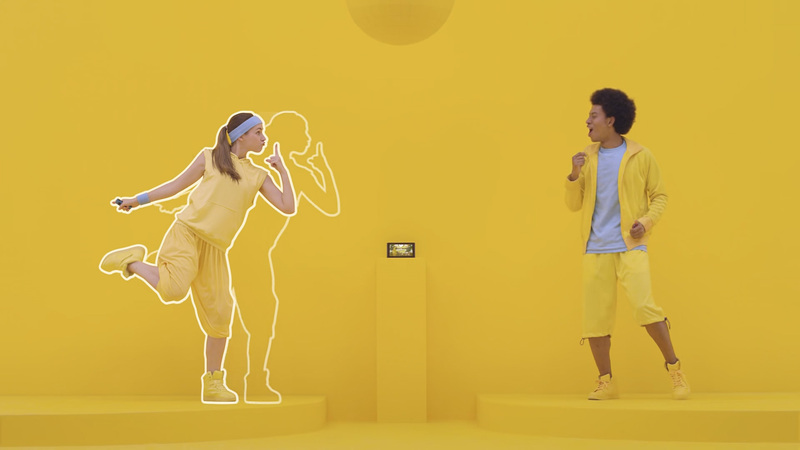 I like that the idea is to look away from the screen and look your partner in the eye instead, and I like that it acts like Wii Sports, Wii Play, WarioWare Smooth Moves and Nintendo Land before it in that it shows off the different features of the new system. Should it have come free with the Switch? Like I say, I don’t think so. I don’t think it’s as revolutionary as Wii Sports was, and it isn’t a system seller on its own. I don’t have a problem with Nintendo charging money for something that will appeal to certain audiences (even if it doesn’t appeal to me). The issue isn’t that it costs money, then: it’s that it costs too much money. £39.99 for a bunch of mini-games, some of which last mere seconds, would require Waterworld levels of wallet-based extravagance to justify buying at that price. Twenty quid? Hmm, maybe. Fifteen? Aye, why not. £10? Now you’re entering must-buy territory. It’s still fun, you see. If you’re having a party, Quick Draw sessions will still get big laughs and if you have enough willing participants it could go down a storm. But unless you have more parties than the Beastie Boys you’re going to struggle to get your money’s worth. 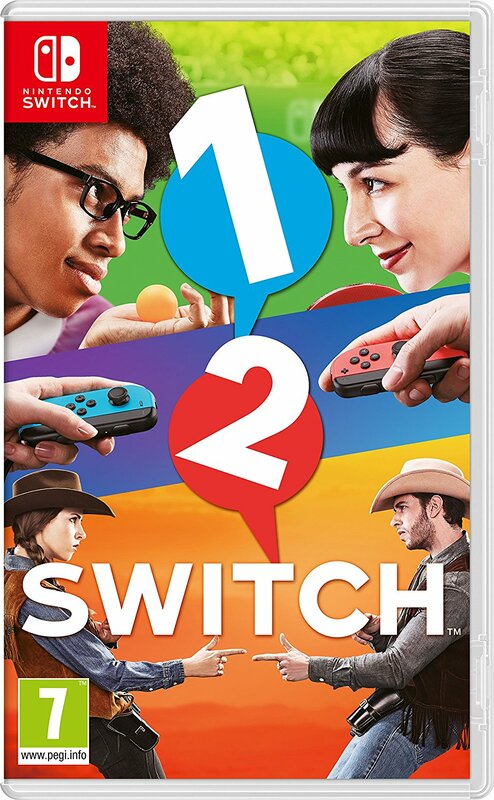 The only reason you’d want to buy 1-2-Switch full price is if you live in a house or flat with a bunch of like-minded folks – maybe a student residence or something – and you can get people to chip a tenner in each. That way it’s less than the price of a night to the cinema and you’ll get enough laughs playing through all 28 mini-games, even if you only do it once (and doing that’ll take longer than a 90-minute film too). Otherwise, hold fire, at least until it’s much cheaper. Chances are you’re already impressed with the Switch hardware as it is, and you don’t need to roll fake marbles around to confirm this, impressive though it may feel. 1-2-Switch is an interesting game. It’s a fun party game. But in no conceivable reality is it a £40 game. 1-2-Switch is available now on the Switch eShop, priced £39.99 / $49.99. You can also buy it from Amazon UK. Next Post: The first ever Tired Old Hack live review!